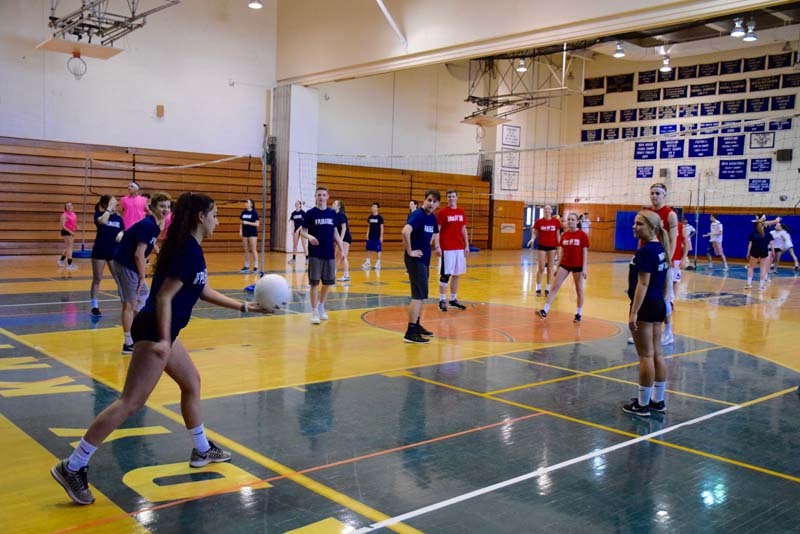 Elwood-John H. Glenn High School students banded together for an evening of healthy competition during the school’s annual Volleyball-a-thon on March 16. The event raised $3,380 which will be donated to the Sergeant Paul Tuozzolo Sergeants Benevolent Association for Widows & Children’s Fund for NYC, the Sean Urda Memorial Soccer Scholarship Fund and the American Cancer Society Relay for Life. This year, 48 teams of students participated in the tournament in the school gymnasium. Each team had t-shirts made and came up with a creative name for their group. Throughout the event, those in attendance were encouraged to sign three posters made for a senior at the high school who was recently diagnosed with leukemia. Students shared their best wishes and words of encouragement.